When I am creating art I feel my best! My paintings are all about having fun and creating images that bring me joy - playing with colour, adding whimsy and imagination to ordinary subject matter. My artwork is about expressing my love of life, nature, and experience. I allow my inner child to shine through each painting and I am so happy to be able to share my work with others! Marnie Dallan is a visual artist, and author and illustrator of “Everyday Me”, her first children’s book. She grew up in Burlington, Ontario and now resides in Guelph, Ontario with her husband and two children. 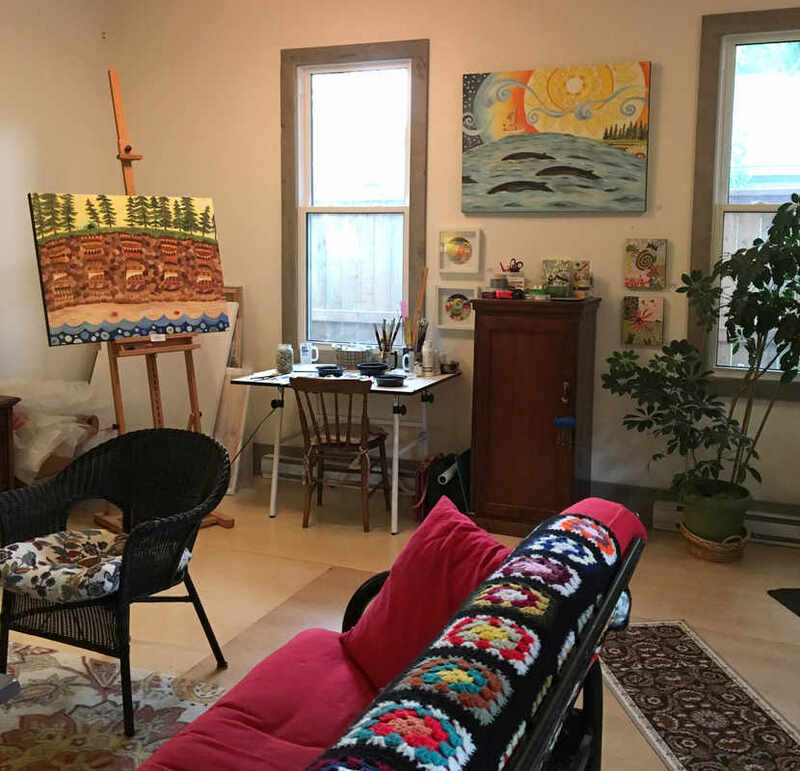 She works in her beautiful home studio.